The WIRELESS ART works with today’s large single Shoot and Double Shoot seeding systems. Up to 240 runs can be monitored on double shoot systems (separate seed and fertilizer runs). 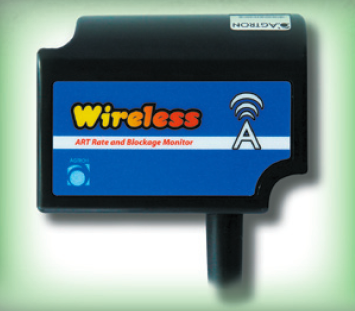 Use the WIRELESS ART to confirm your calibration for seed and fertilizer rates using the Seed Rate Wizard. Seeds per acre (or pounds per acre) and Fertilizer pounds per acre are displayed. For more information, visit www.agtron.com.